The bottom terminal was modified so a zip-line landing platform could be built above. In 2018, a tower was added to accommodate a new bridge. 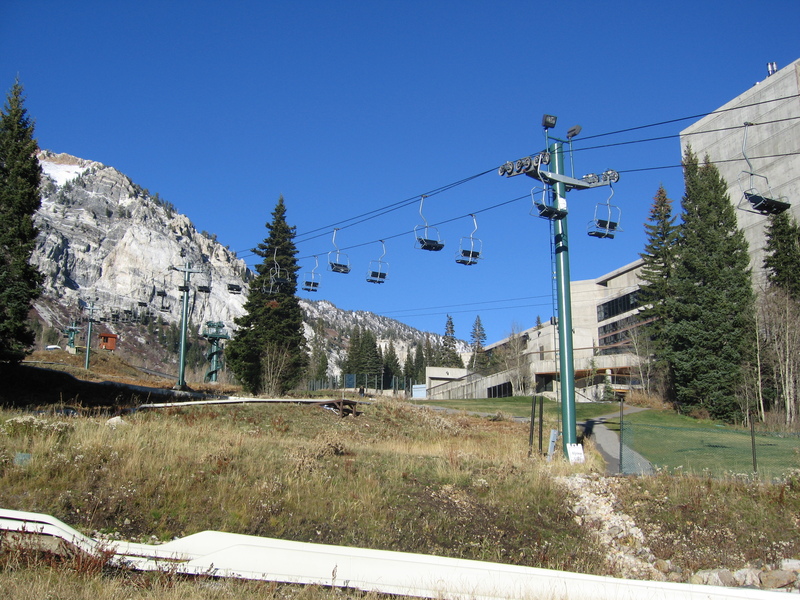 They took out the old zip line and now they are going to build bridges over the lift. 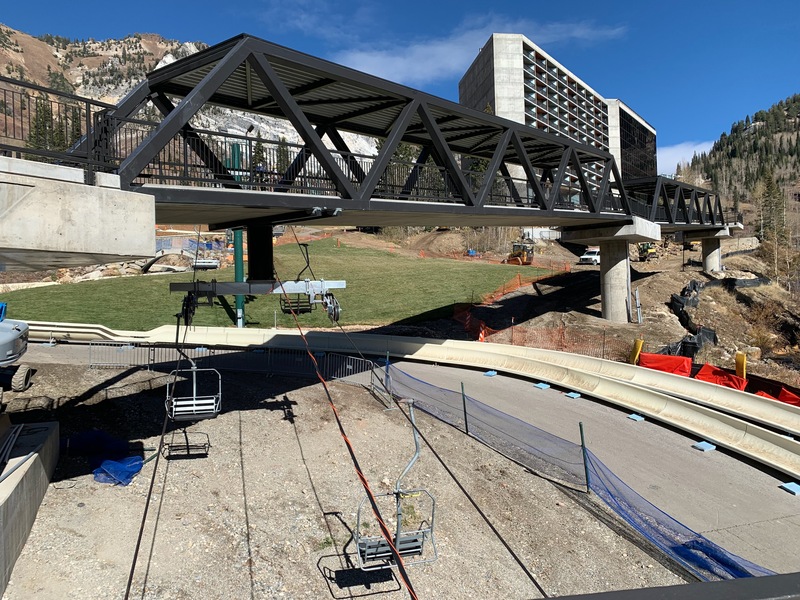 Like a ski bridge or a regular bridge for the hotel or lodge? 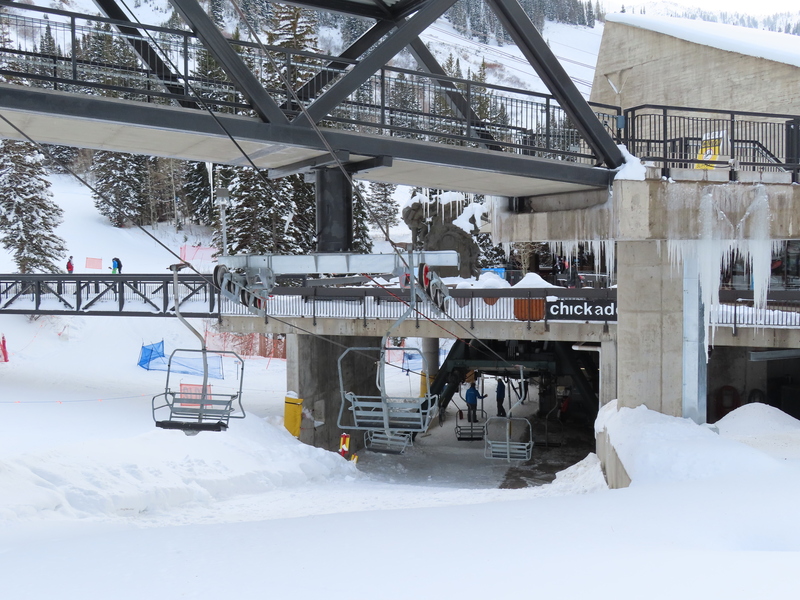 So then are they removing chickadee lift? No, they just shut it down for rest of the summer season. 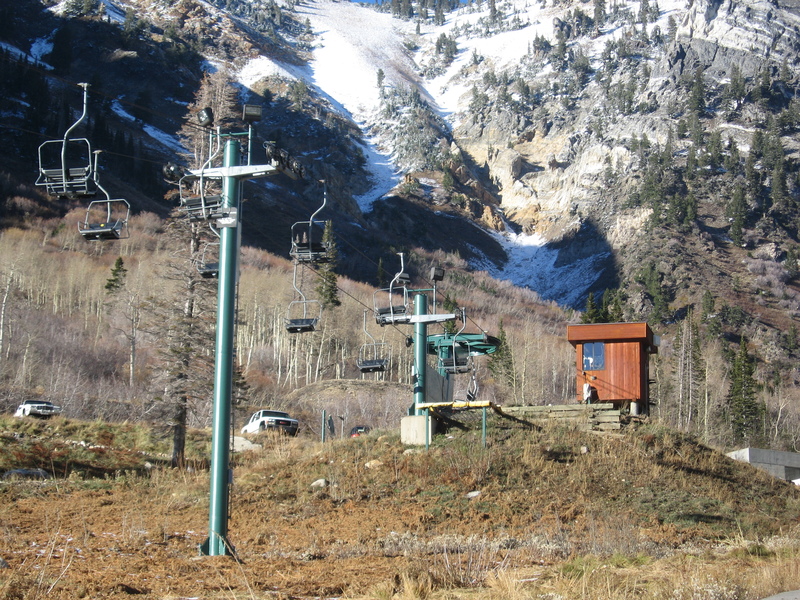 The alpline slide is closed and the zipline got terminated. They are also redoing the snowbird center too. Is the hydraulic tensioning original? A hydro on a 70s lift seems odd to me. 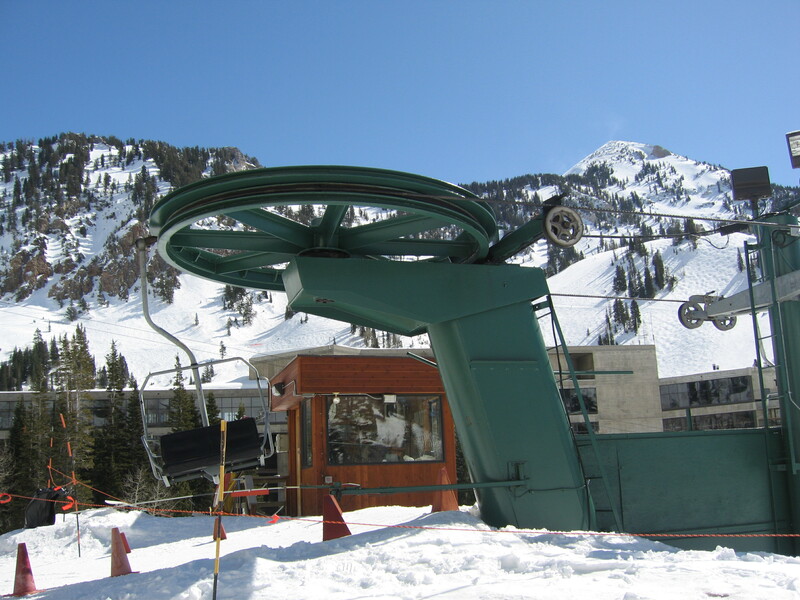 Unless the lift had a counterweight before. Looks like a retrofit to me. Hydraulic cylinders on a later Enterprise terminal with hydraulic tensioning would have been housed on either side of the tension carriage. 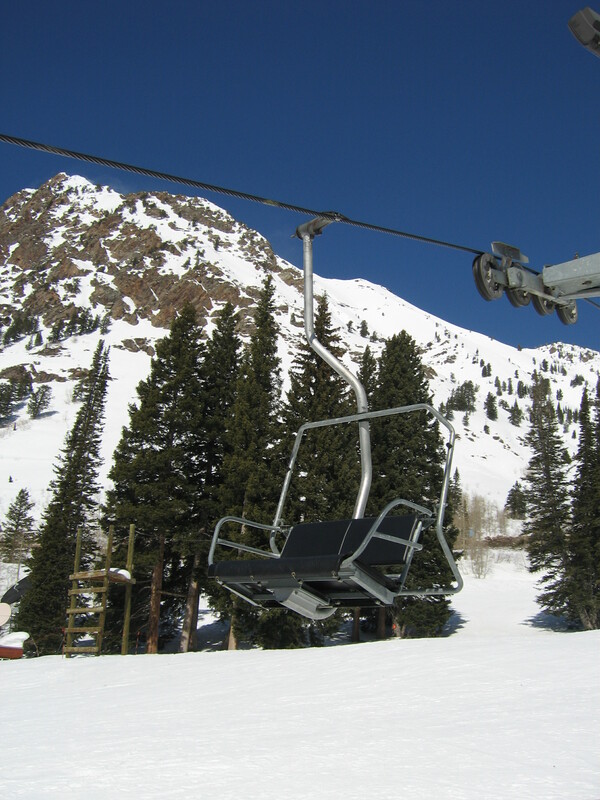 Is the chickadee lift functional? Yes, Its a workhorse lift in the summer time. 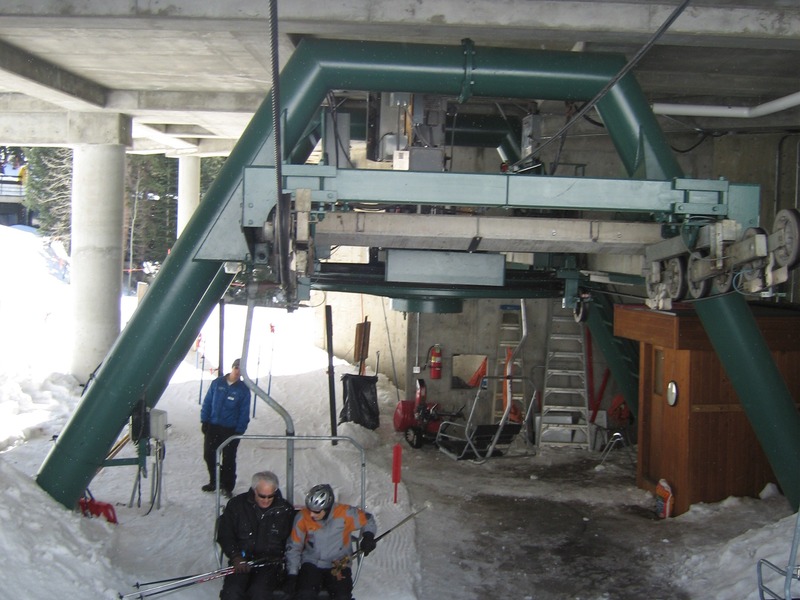 The lift is hauling alpine sleds and riders all the time. 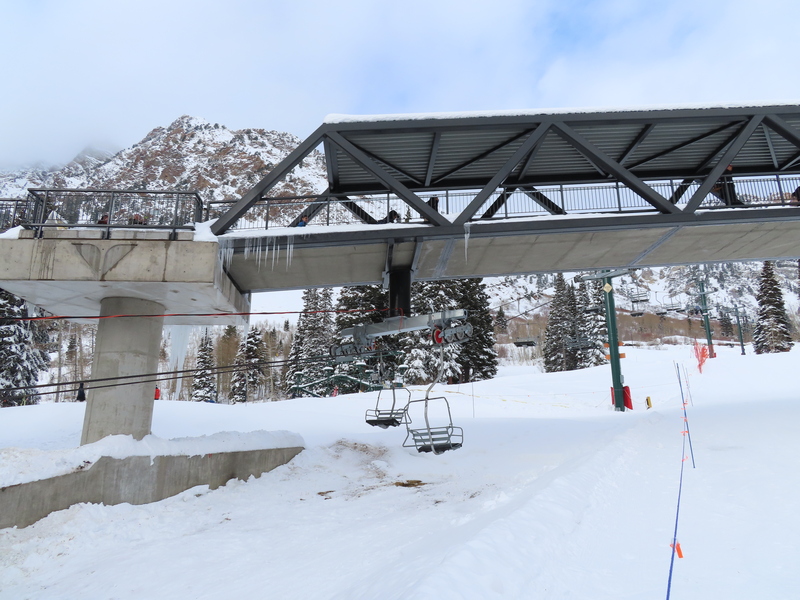 This lift just got a new tower hanging from a bridge. 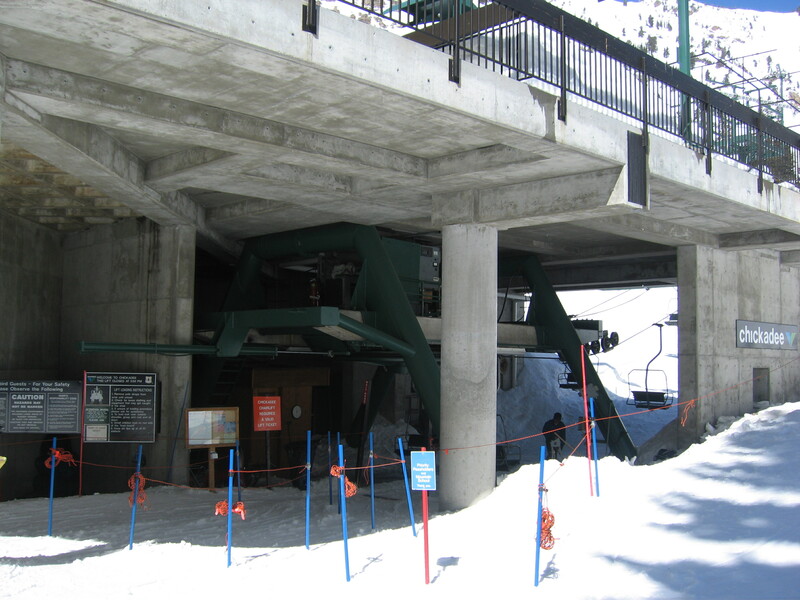 This lift had a hydraulic tensioning upgrade and a cement roof was built ontop of the terminal for a zip line that is no longer there. Now the platform above is used for a bridge that comes from Prevuain. 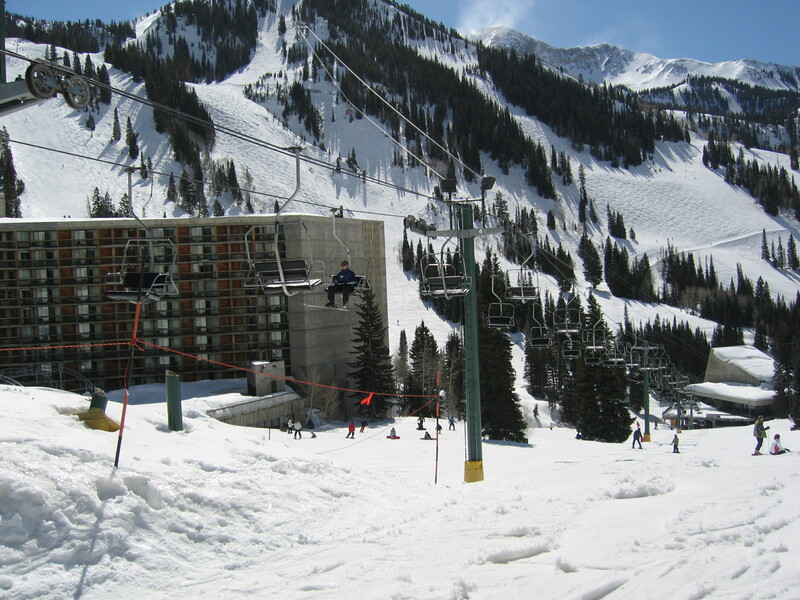 Chickadee also serves beginner terrain in the winter.